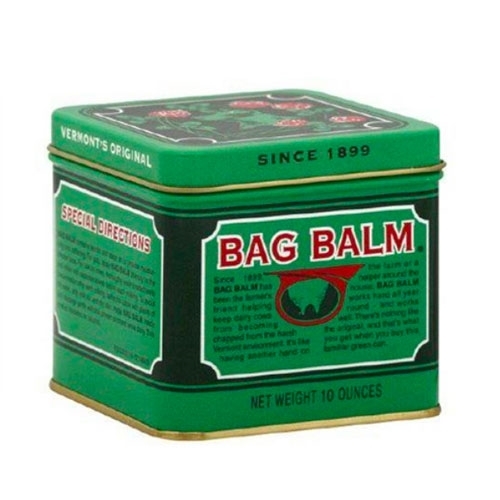 Bag Balm Ointment is used for chapped skin conditions and superficial abrasions. This familiar green can was originally developed to help dairy cows from becoming chapped from harsh environment. Farmers discovered the soothing quality of this ointment of scrapes, cuts and rashes of their own. Bag Balm is commonly used for scraps and rashes as well as chapped lips.